The Dukan Diet is the one that Kate Middleton is using to prepare for her wedding, so it must be awesome! Right? Big NOOOOOOOOOOOOOOOOOOO! Do not follow in her footsteps! What is supposedly "Great for Kate" is not great for you! The Dukan diet originated in France and was developed by Dr. Pierre Dukan. It is a tweaked version of the "Atkins Diet" with high protein / low fat meals and very little else, except oat bran and lots of daily water in the beginning. Very restrictive! It is a "Diet" in every sense of the word. It is Atkins like, but uses lean or low fat meats. He adds in Weight Watchers support, but not calorie counting. It is kind of a modified combination of the two. It might be "Great for Kate" because she is trying to "get skinny quick" for her wedding, but in my opinion, she already looked great!! She will be leading many young girls down a path of thinking, "Healthy slim is not enough, I need to be super skinny like Kate!" Attack Phase: which is a short period where you eat a diet that consists of 72 high protein foods that are non fatty. I guess that is why you need the oat bran and water daily! Cruise Phase: weight loss phase. You will alternate between protein only days, and days where you can eat protein with 28 recommended vegetables (low carb varieties), but no fruit, whole grains or healthy fats. Consolidation Phase: transition stage after weight loss. You gradually add regular foods back, like fruits and carbs in limited amounts, and 2 regular meals per week. Stabilization Phase: you are done with the weight loss, but must follow 3 steps to maintain your weight because most dieters gain all of their weight back. You will eat normally, but one day a week will remain just protein. The diet is advertised on their website as the #1 French medical diet. I guess if you are a doctor, you can call your diet "a medical diet". There are some good ideas that I like about his diet. He tries to personalize the diet to your personality. 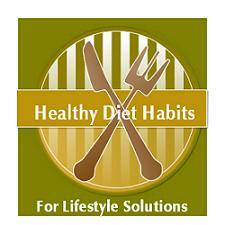 Dr. Dukan is a nutritionist that specializes in food behavior. He provides 100 foods you can eat, so you do not need to count calories. Daily on line support by a nutritionist, your online "slimming coach." Provides lots of support and helps, like morning and evening emails, online chat, recipes, book recommendations, exercise videos, and any help you can imagine. He definitely has covered all behaviors! It is not based on scientific research. He is a doctor of neurology! Diets that cut out entire food groups like fruits, whole grains and healthy fats, can leave you deprived of vitamins, minerals, antioxidants and phytochemicals. Could result in kidney problems, gallstones, and muscle loss. I must admit that I hate diets and I wanted to detest this diet, because I hate what the dieting obsession has done to the world. I much prefer helping people develop Lifestyle Solutions and healthy diet habits, rather than changing their entire way of doing food, and promoting such calorie restriction. The diet is outwardly very polished looking! I believe the proof will be in the scientific research that will be done down the line. I did not find that either community supported why it was, or wasn’t a good diet scientifically. I WOULD NOT recommend it, because it is not recommended by the British Dietetic Association!